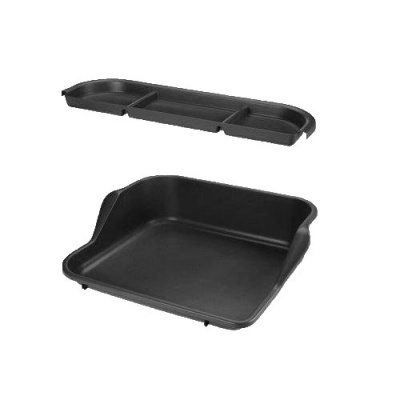 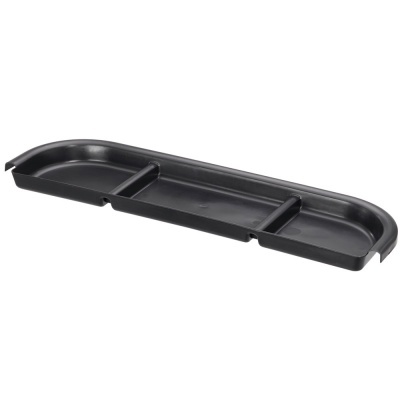 Stewart Garden Potting Tray Shelf - Black from the Essentials range designed to compliment the Stewart Potting Tray (available separately). 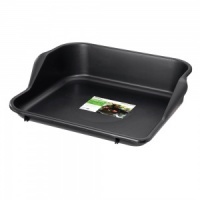 Easy attachable storage shelf is perfect for keeping pots, seeds and tools organised, allowing the tray below to give a wide and deep working surface to repot plants. 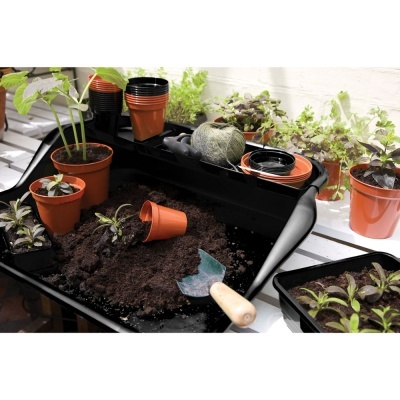 Keeping soil mess to a minimum, the easy to clean, matching colour potting tray shelf can be detached when not needed or for easy cleaning.